Construction of a two-classroom, red brick building for Tuxedo School No. 1709 in the Town of Tuxedo was tendered in 1926 and completed in the summer of 1927. Known for many years as Tuxedo School No. 2 (with Tuxedo School No. 1 located about three miles south), it was later renamed Tuxedo Park School. In the summer of 1947, the school district reached an agreement with the Winnipeg School Division to have students in grades 10 and 12 attend classes in the city schools. In 1957, a gymnasium and north wing were added and, two years later, a south wing was built, bringing the building to its present configuration. 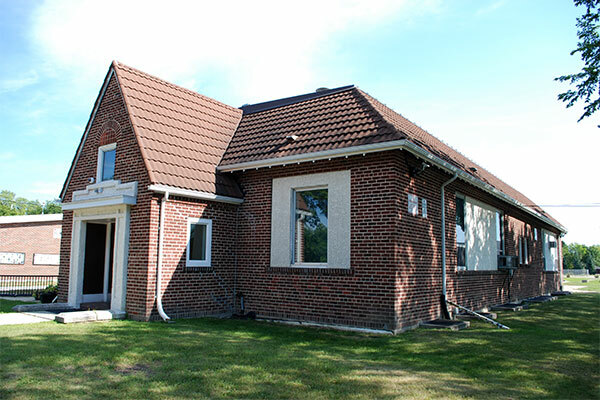 It is now a French immersion facility of the Pembina Trails School Division. 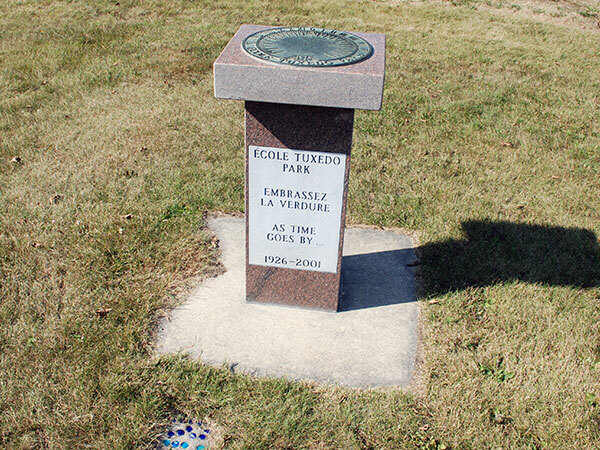 A monument was unveiled in front of the school in celebration of its 75th anniversary. “Notice [Tender, two-roomed brick and frame school, Town of Tuxedo],” Manitoba Free Press, 10 August 1926, page 14. “Notice [Tender, two-roomed brick and frame school, Town of Tuxedo],” Manitoba Free Press, 22 June 1926, page 14. “Development in Tuxedo Park this season,” Manitoba Free Press, 1 October 1927, page 35. “Sister is hostess at breakfast party for Irene Finlay [Irene Alexandra Finlay Cranstone],” Winnipeg Free Press, 26 June 1939, page 6. “Wilde - Doern [Renata R. Doern Wilde],” Winnipeg Free Press, 27 December 1939, page 7. “Chicago “U” School survey plan favored,” Winnipeg Tribune, 11 June 1947, page 11. “Williams - Keegan [Sheila Bridget Keegan Williams],” Winnipeg Free Press, 11 July 1964, page 16. Obituary [Mary Charlotte “Molly” Stalker Finkbeiner (1912-2003)], Winnipeg Free Press, 28 November 2003, page 26. Manitoba School Records Collection (GR10356), [Tuxedo School District No. 1709 / Tuxedo School and Tuxedo Park School Daily Registers / School Division No. 3], Archives of Manitoba. 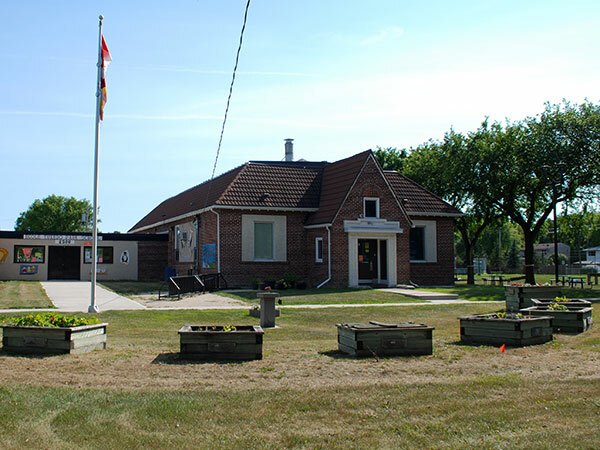 History of Tuxedo Park School, Pembina Trails School Division. We thank Jane Fudge and James Arnett for providing additional information used here.